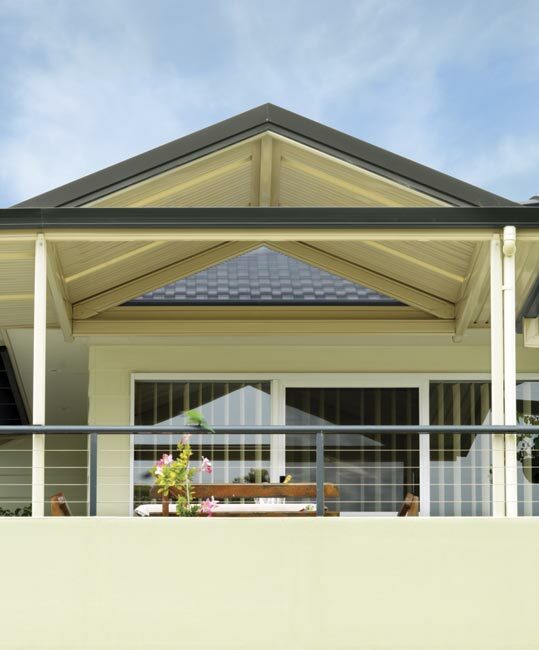 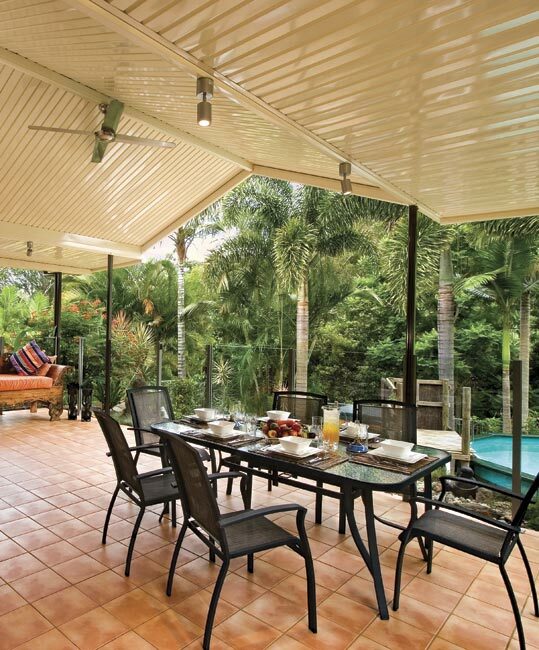 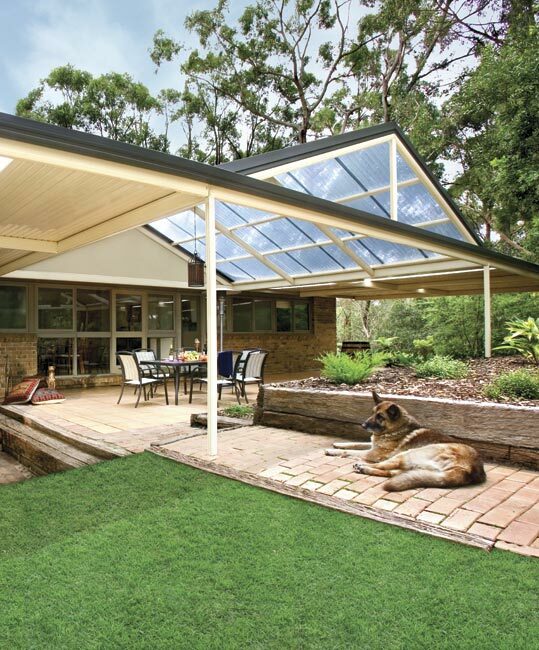 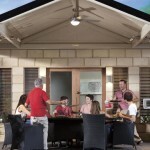 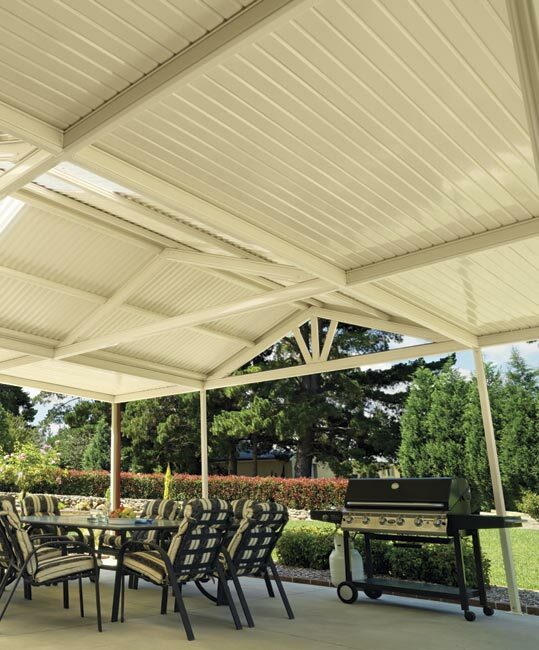 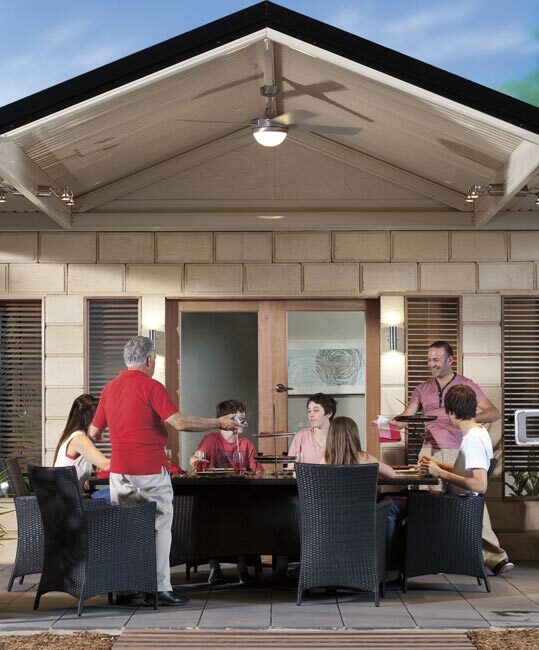 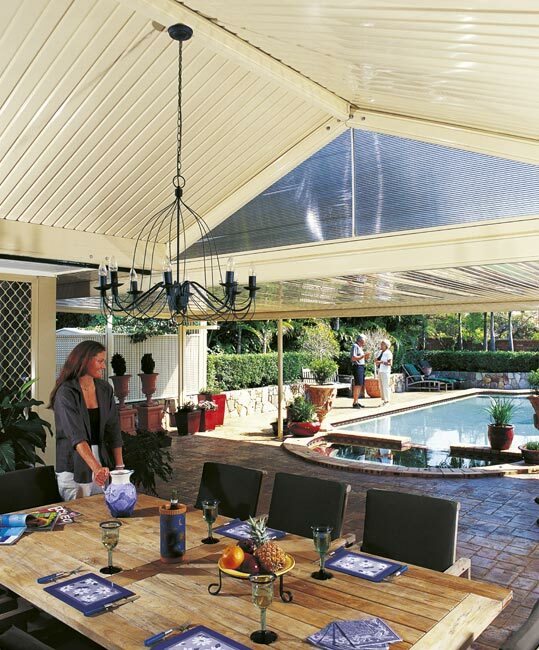 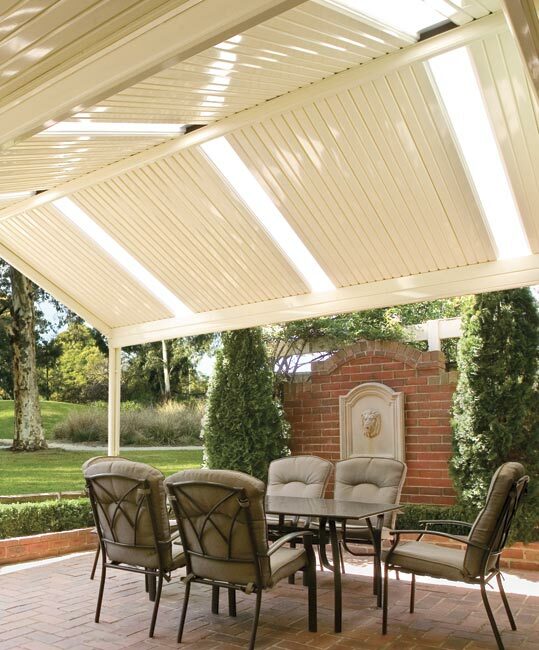 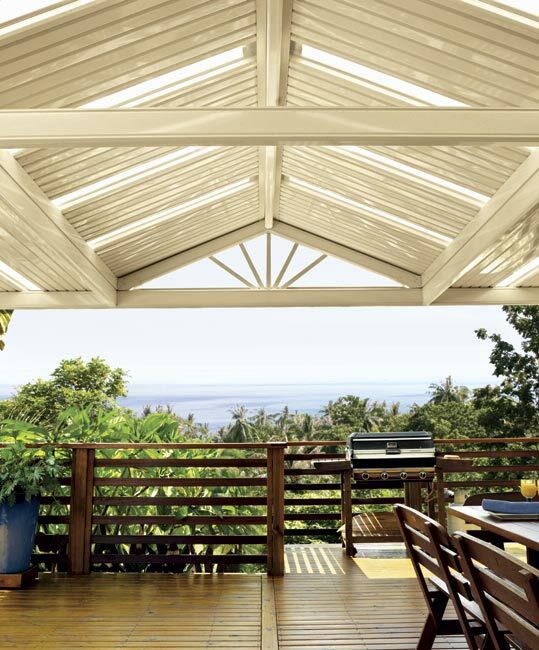 Exhibiting a strong presence and style, the pitched roof of an outback Gable Verandah, Patio or Carport is endowed with an open feel that will enrich your home and outdoor entertainment area. 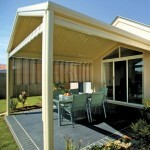 the outback Gable is available as a freestanding unit or attached to the home. 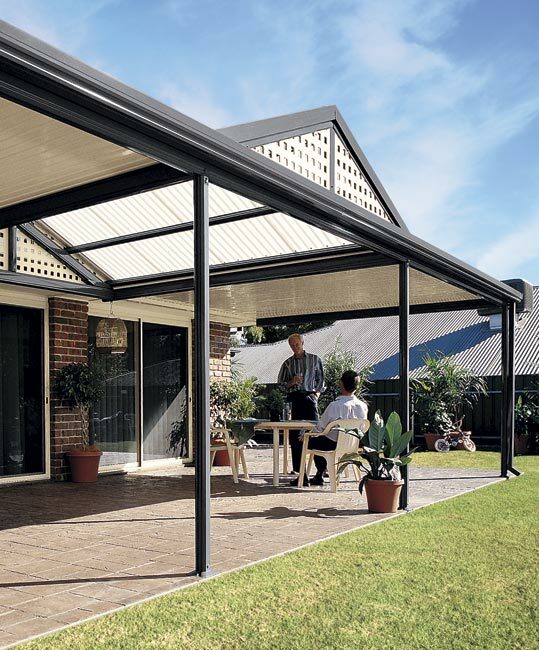 Combine it with flat roof or pergola sections and the prominent pitched roof becomes the main feature of the arrangement. 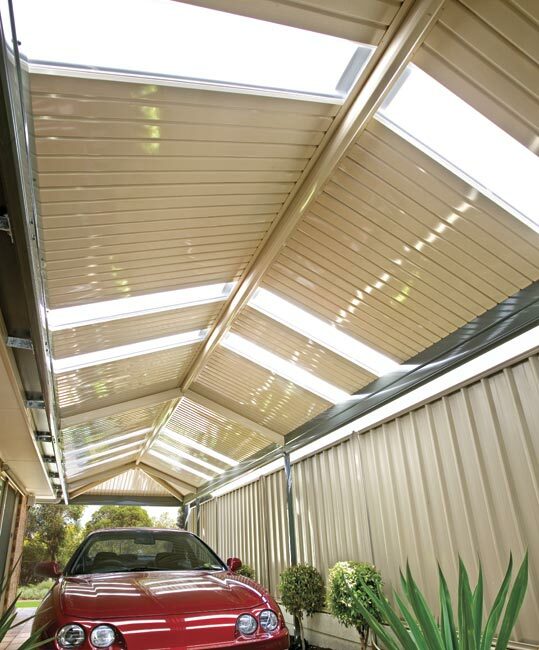 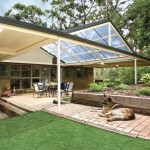 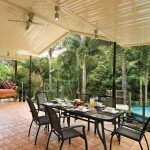 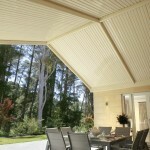 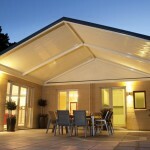 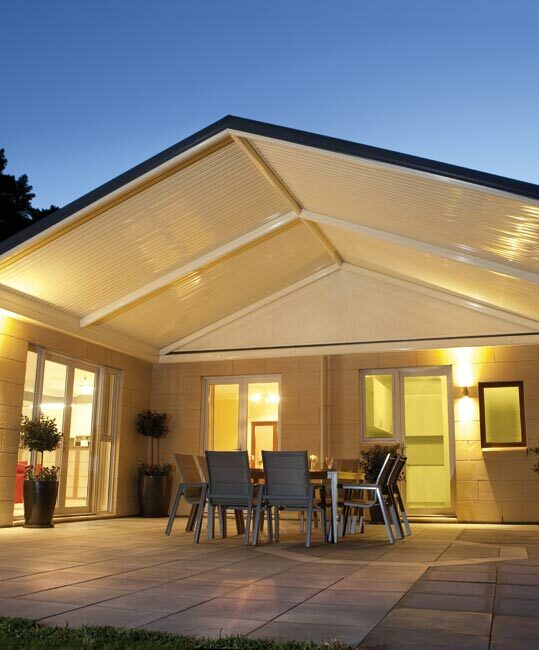 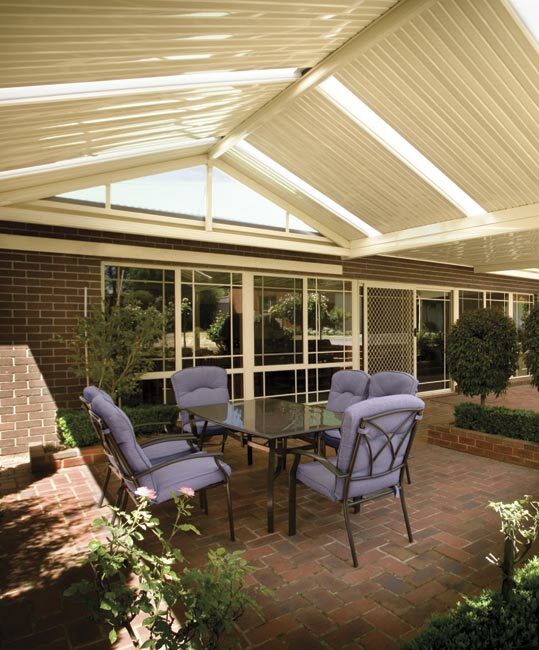 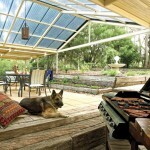 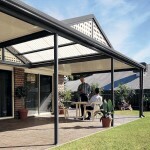 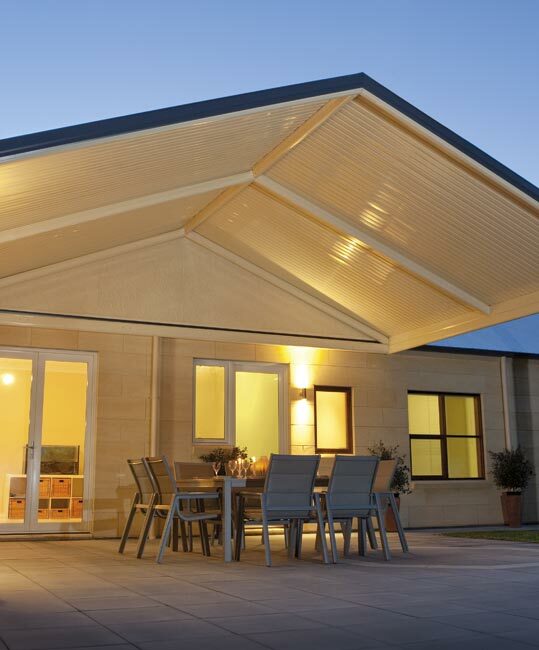 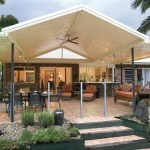 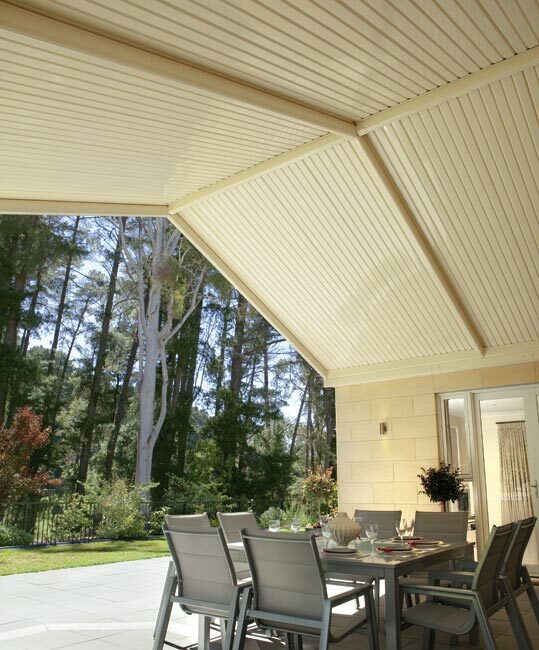 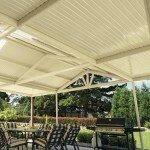 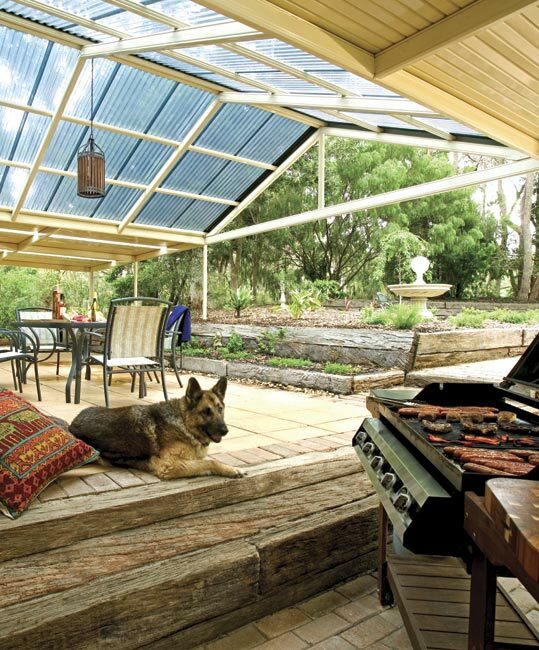 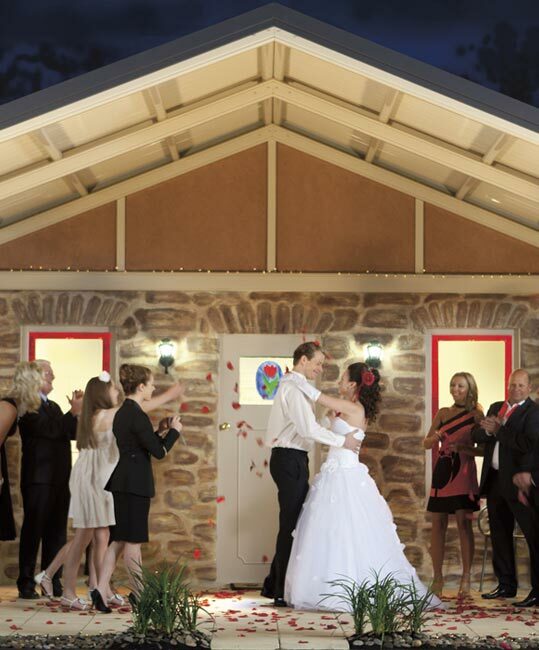 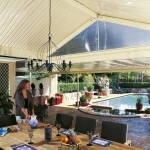 the outback Gable is available as a Multispan or Clearspan design. 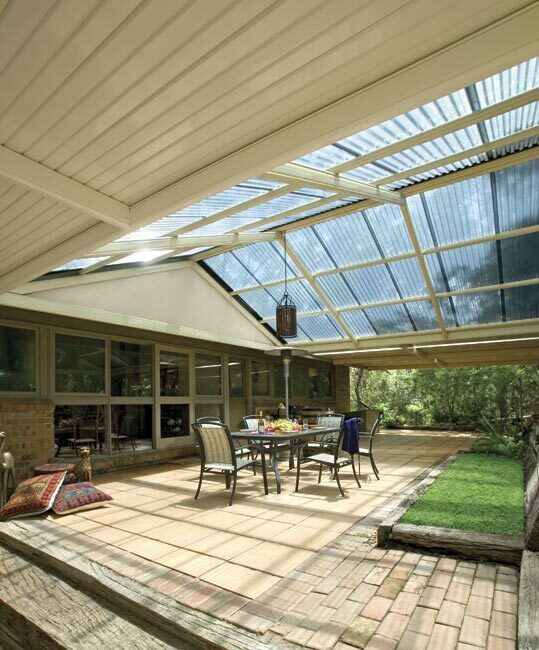 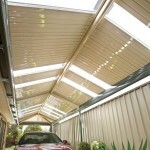 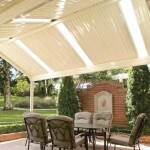 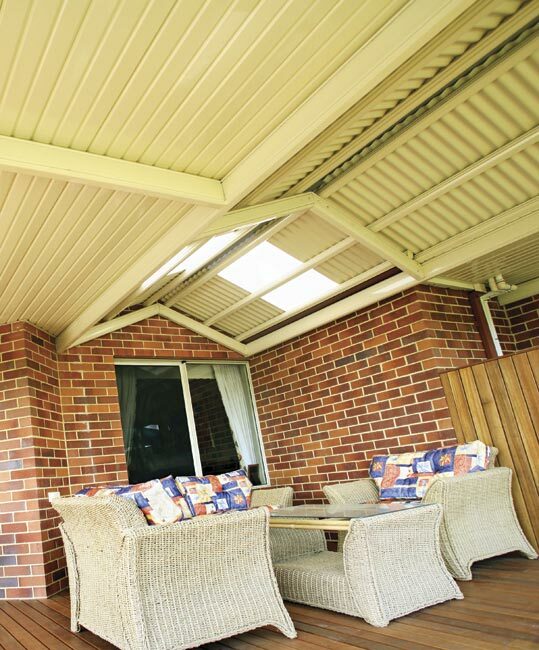 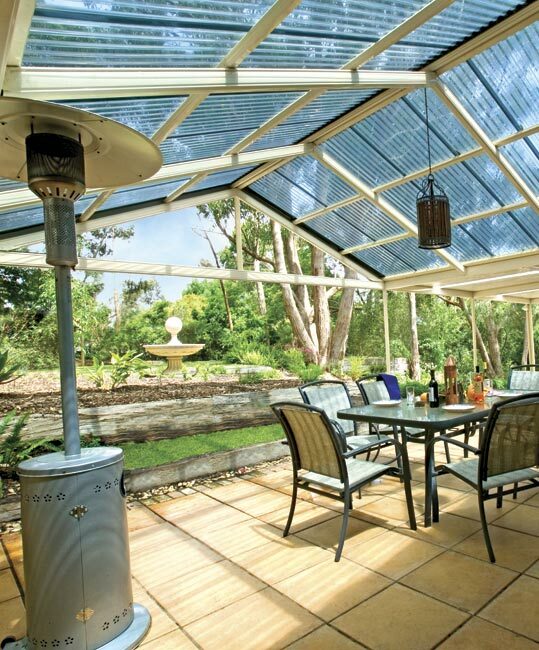 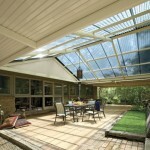 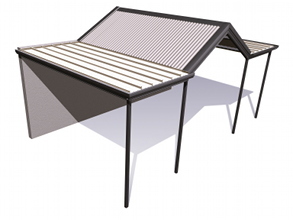 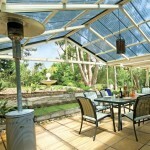 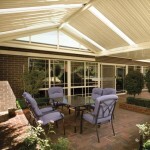 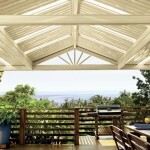 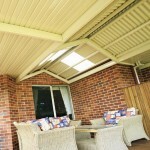 Match the outback Deck with Outback Rooflites to supply natural filtered light. 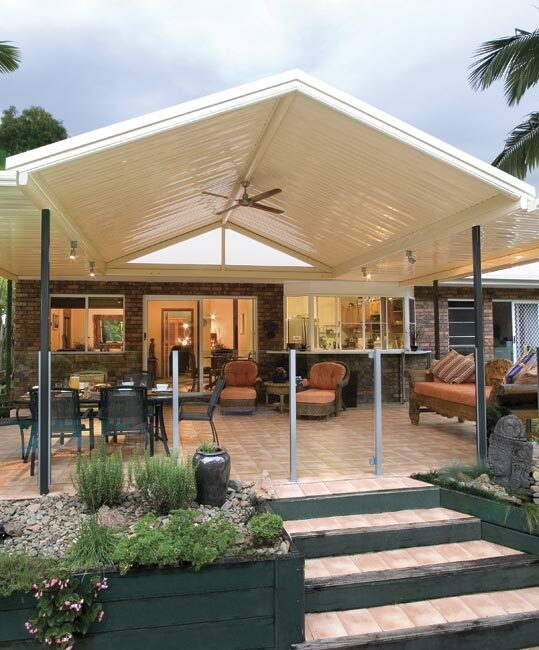 an outback Multispan Gable features purlins that are placed over the rafters in the roof. 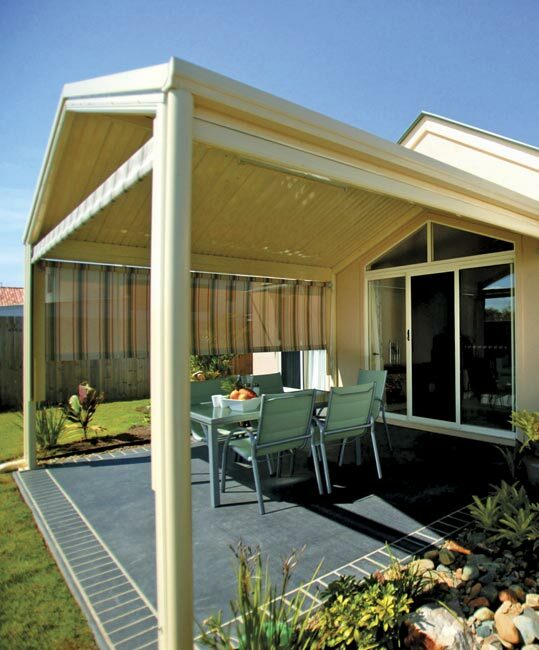 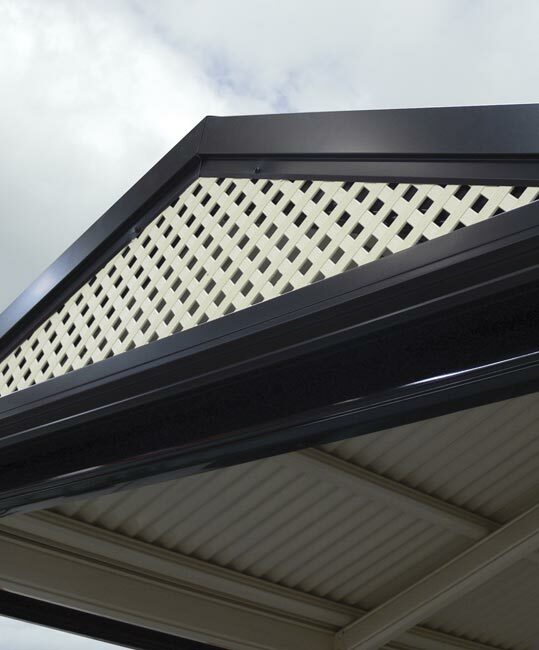 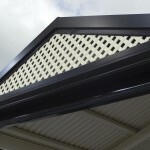 this supports the cladding, which can be the smooth outback deck, light and airy polycarbonate, or classic corrugated steel. 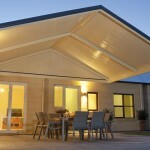 the gable roof can span up to 6.6 metres wide on a Multispan design.